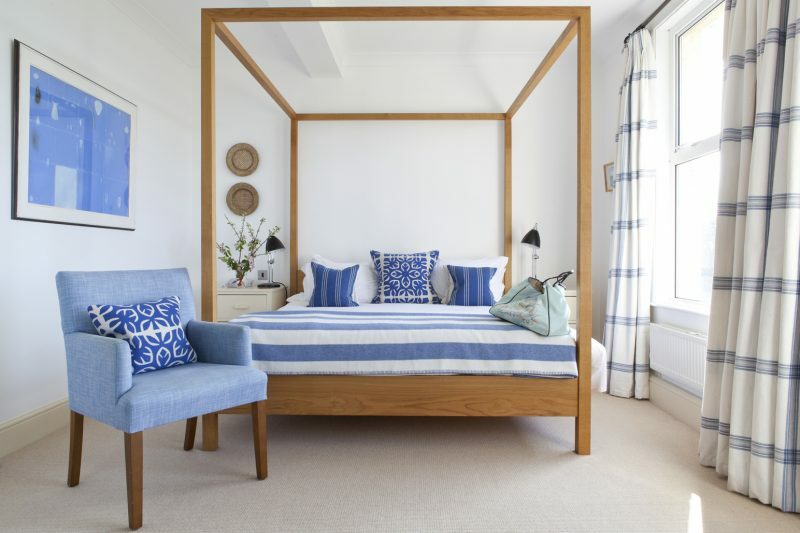 From boutique B&B’s by the sea, to self-catering cottages that are perfect for larger groups, or chic, stylish country hotels – the county has accommodation to suit every budget and taste. Take a look at some of our favourite options below. There are a great range of hotels to pick from in Cornwall, whatever your style of holiday. Foodie fans will love a break at the St Enodoc Hotel whose restaurant, headed up by James Nathan (former MasterChef winner) serves exquisite dishes morning, noon and night. If it’s a spa break you’re looking for then The Cornwall Hotel and The Carlyon Bay Hotel are great choices. Both boast heated pools, steam rooms and plentiful treatment lists – relaxation at its best. Looking for a family friendly option? The St Moritz Hotel is home to the Mini-Moritz club which will keep little ones entertained with watersports, film nights and much, much more. And for those seeking an adult-only break, look no further than the Rose-in-Vale Hotel, a countryside escape nestled in the hills near Mithian – the ultimate romantic retreat. From historic houses with fantastic views, to cosy town houses - bed and breakfast can offer a great accommodation choice when visiting the county. Dolvean House offers five-star guest rooms in a superb location – being only walking distance from the vibrant town of Falmouth, with its rich maritime history and iconic castle. Whilst, if you’re looking to stay further north, the Seafood Restaurant in Padstow offers the perfect choice. Situated above one of the best fish restaurants in the county, you need only walk downstairs to enjoy a stunning meal. 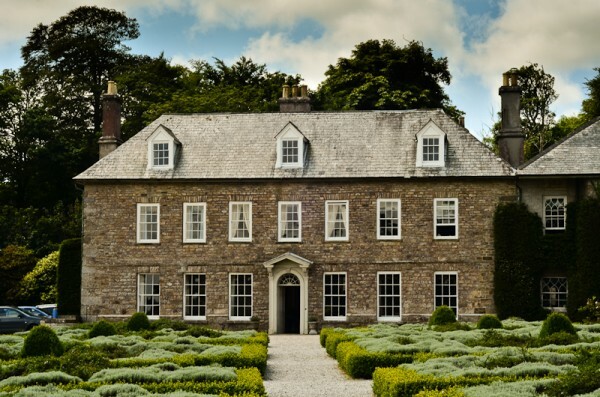 For those hoping to get a sense of Cornwall’s history then a stay at Trereife House is for you. Recently restored by the 7th generation of the Le Grice family – descendants of Charles Valentine Le Grice who lived here in 1798 - each bedroom is named after famous poets and writers of the time - many of whom Charles Valentine Le Grice was a friend and contemporary, including Wordsworth and Coleridge. Take the county at your own pace with a self-catering break in Cornwall. 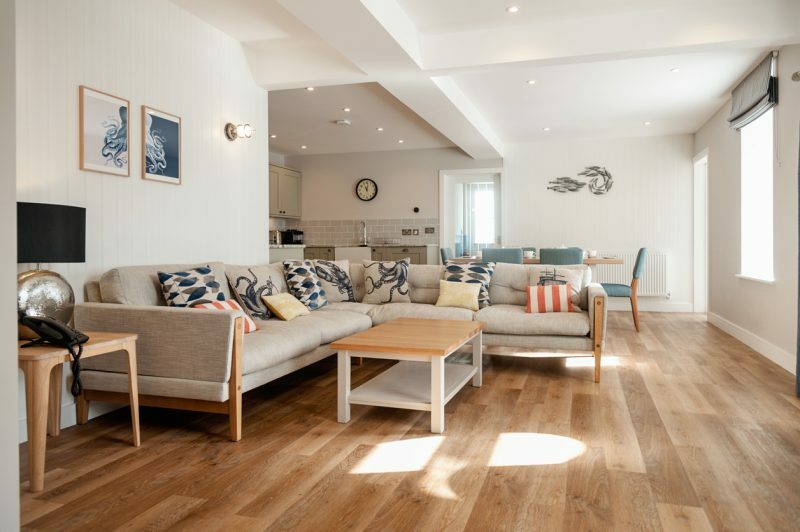 For a waterside getaway choose from the Mullion Cove Apartments (where Aidan Turner stayed during the Poldark filming) and the beautifully designed chalets at Lusty Glaze Beach - where the lulling sea is just meters from your door. Or why not opt for an idyllic escape, on a working dairy farm in the heart of Cornwall with a stay at Gadles Farm Cottages? Surrounded by fields and wild flower meadows, it’s perfect for family breaks. Looking for something a little more unique? Opt for a break with English Heritage and stay in the ramparts of Pendennis Castle or in the Fort House across the water at St Mawes Castle. With easy access to Falmouth or the beautiful village of St Mawes - home to boutique shops and delectable eateries – you’ll never want to leave. Get a real sense of Cornwall by embracing the landscape and camping at one of the many holiday parks throughout the county. 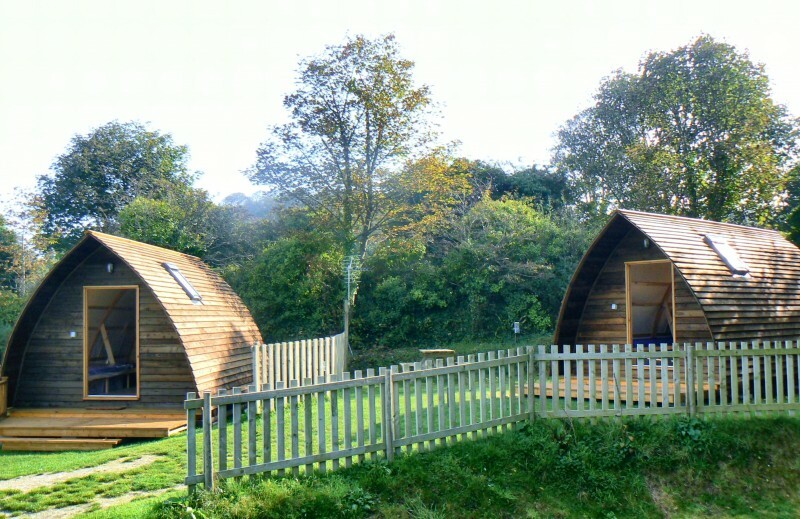 Tehidy Woods is great for those wanting to get back to nature - nestled in a quiet wooded valley the park offers a range of accommodation, from caravans and tents to the more unusual wigwams. Looking further north, Widmouth Bay Holiday Park is set within 50 acres of stunning Cornish countryside and is within walking distance to the beautiful bay – the perfect destination for family adventures.